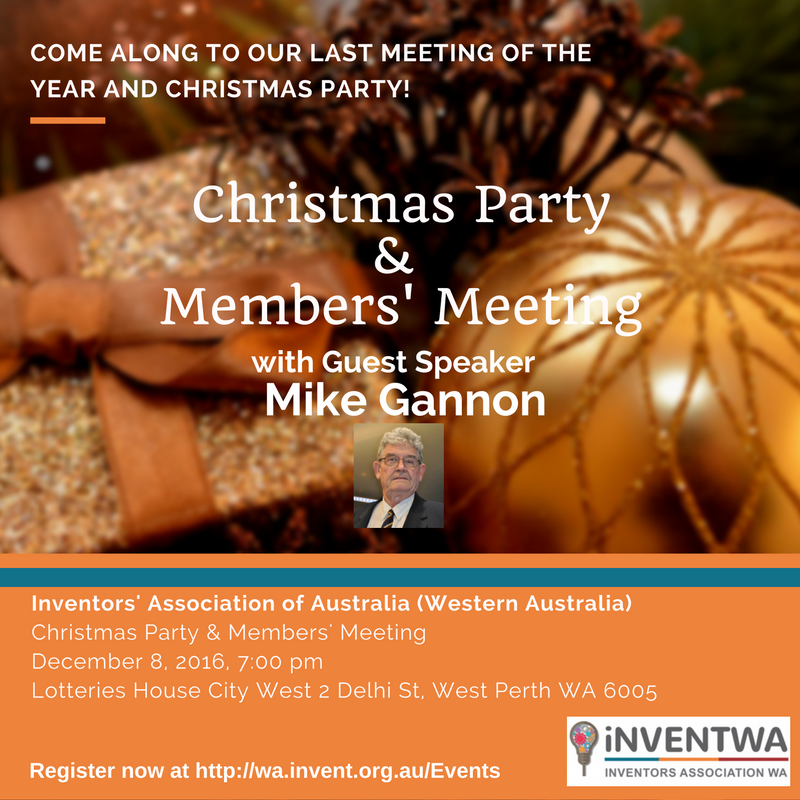 Come along to our last meeting of the year and Christmas party. Join us for food and drinks and guest speaker is one of our own members Mike Gannon. Mike will be sharing his story on his invention in the pest control industry.